Kent Business School is pleased to offer a range of hardship bursaries to UK, EU and International postgraduate taught students who require financial support in order to undertake and complete their master's studies. This fund considers all students who are in financial hardship and is not based on academic requirements. Submit a maximum 750 word supporting statement describing your current circumstance, detailing why you require the extra funding and should be considered for a hardship bursary. 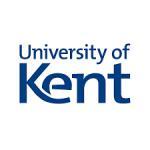 Be in receipt of a formal offer to study onto a Masters programme at Kent Business School for 2019 entry. Note: You can apply for the Kent Business School Hardship Bursary only after you have received a formal offer to study a Masters programme at Kent Business School. The University of Kent is the only UK university to have specialist postgraduate centres in four European capital cities: Athens, Brussels, Paris and Rome. To distinguish itself from other universities, Kent offers an extensive study abroad programme with over than 204 universities in 36 countries, Kent also encourages cultural diversity with having more than 157 nationalities represented at the University, and 40% of its teaching and research staff coming from outside the UK. Many of the programmes at Kent offer dual UK and European qualifications at Bachelor's, Master's and Doctoral level, as well as offering a wealth of European and international opportunities to study, work and travel in a stimulating and effective learning community. See more scholarships on For9a website.